amount of castings as well. and all the other bills that seem to pop up in life. so Ive got to get things rolling early today. this week...The Invincible Health Master Class. food and water habits, but you ENTIRE lifestyle as well. you if you already havent considered it yourself. If it wasn't for him, Id still be drinking dead bottled water. so much thirstier..I couldnt believe it. night and day...instantly the parched feeling went away. out all the old junk that I drank the few days before. and its happening this morning too. 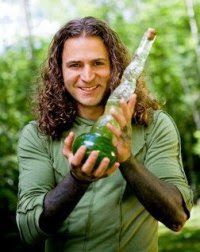 of dollars on bottled water...Daniel Vitalis changed that for me. Here is a great talk from him exactly about that - Water. expose yourself to more of his work. global politics and the money system as well. level of not just diet but LIFE, this would be a great class. you will never look at life and yourself the same way.